What is the starter kit? A few years ago, my life changed when I purchased my starter kit. (Lord knows that sounds dramatic, but stay with me!) I had been ordering from friends here and there, and trying different companies, but it wasn't until I ordered my own kit and got 11 at one time PLUS a diffuser that I really dug in deep. And boy, was my world rocked! We use essential oils for EVERYTHING now. We are rarely at the doctors office, and as a mama of three young boys, that is quite the accomplishment! Through these oils I was able to manage my stress (which is why I wanted oils in the first place!) And to really learn about non toxic living. If it seems overwhelming, Let me help! The Young Living Essential Oil premium starter kit comes with 11 different essential oils that support every single one of the body systems. It also comes with a gorgeous medical grade diffuser. When you buy a starter kit from me, it also places you in to our exclusive private FB group where you will be able to watch live informational classes for free, including a kit oils 101 class that will explain everything you need to know to get using your kit as soon as it arrives! You will also be able to enter giveaways, and have me as your support for questions you may have! **Purchasing the starter kit as a 'member' means in the future you get 24% off all future purchases! And the best part? You do not have a monthly fee or minimum purchase requirements. You never have to sell anything to your friends. If you want to keep your account active there is a requirement for a $50 purchase once a year, that's it! If you choose to only be a retail customer, you do not get the benefit of the 24% off, but can still make any purchases you want! With the desert mist diffuser, the premium starter kit is $165. There are also few other diffusers to choose from if you want something different! NingXia Red® 2-oz. sample packs. Young living's top selling oil that also has a whole line of products, but this oil may aid in healthy lung function for the respiratory system. It may be beneficial for supporting the immune system and is a blend of cinnamon, clove, lemon, eucalyptus radiate, and rosemary. Super versatile because it can also be used in cleaning. Stress away is a calming oil that may help to promote confidence and happiness. It is a blend of 7 oils and is a favorite of moms everywhere! This is an oil I have multiple bottles of and stash them everywhere: one in the car, one at the kitchen (hello, dinner time craziness! ), one in my purse. This is a favorite of mine because it is a HAPPY OIL! And happy people are better people, right? We diffuse this oil pretty much every single day and it's a delightful blend. As a mom of three boys, sometimes life gets crazy and this oil helps to bring me joy! -Valor: is your confidence in a bottle! It is the best before a big meeting or helping a child overcome certain fears. It’s also dubbed chiropractor in a bottle and is wonderful to put on areas that don’t feel so great! -Peace and Calming: What a wonderful name, right? :) It’s super relaxing and a great oil to use to unwind at the end of a long day or before a crazy day! -PanAway: a favorite oil to apply topically after exercise to soothe overworked or tired muscles. 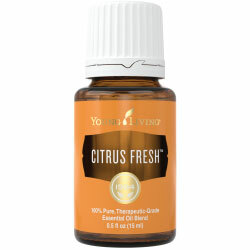 Also great for diluting and using as a massage oil, and because of the crisp and minty aroma it's nice for a chest rub. -Lemon: Very versatile oil, lemon is a very happy scent that uplifts your mood, can be used to enhance the flavor of food or water, eliminate odors in the home, add it to your skin care products to reduce blemishes, can aid in digestion, may help urinary function, support a healthy immune system, and flush toxins. -Frankincense: A favorite oil for massage and skincare, can support healthy looking skin. Frankincense was valued more than gold during ancient times. Add to your moisturizer or apply with a little coconut oil for fresh looking skin. -Peppermint: A refreshing oil that is so potent, one drop is about as strong as 26 cups of pure peppermint tea. This oil is great for supporting your body's natural response to injury. This oil supports focus and healthy cognitive function. It promotes healthy bowel function and maintain efficiency of the digestive tract. May support performance during exercise. -Raven: Raven is your go to oil for happy breathing! It helps support your lungs and gives you a nice pep in your step! I love to use this one whenever I am feeling funky or before a workout to help support my lungs. -Lavender: This oil has SO MANY USES that it's called the "swiss army knife" of oils. It is the oil of relaxation. You can place a few drops on your pillow to support restful sleep, place a drop in your mascara (non-waterproof!) for lovely lashes, unwind with a few drops in your bath. Can apply topically for skin concerns as it is a top oil for skin care.